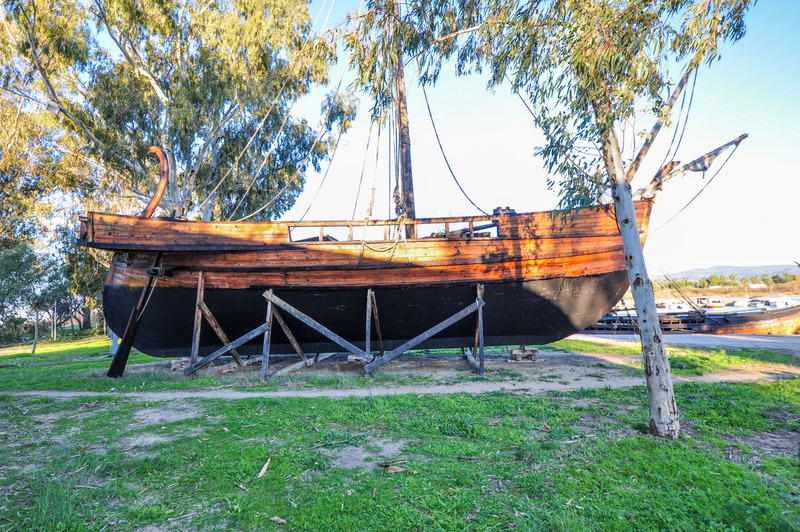 In addition to a Roman Warship, a reconstructed Roman Cargo ship is on display at a harbor near Ephesus. These ships could carry all types of cargo including grain (for example from Alexandria Egypt to Rome), wine, olive oil, and other foodstuffs. According to an ancient source the larger grain ships could be up to 180 ft. + [55 m.] long. The trip from Roman to Alexandria‚ with the prevailing wind, took about two weeks while the return journey, with a full load, had to travel in a counter-clockwise direction from Alexandria to Rome (because they could not sail directly into the prevailing northwesterly wind) took close to two months! It is said that Alexandria supplied Rome with 1,700 such shiploads each year. Another view of the modern reconstruction of a Roman cargo ship that plied the Mediterranean Sea during the first centuries A.D. The bow of the boat is on the right, and at the stern note the steering oar. The Apostle Paul traveled on such a ship as he was being taken to Rome. It is said that there were 276 people on board—along with all the cargo (Acts 27:18, 37). 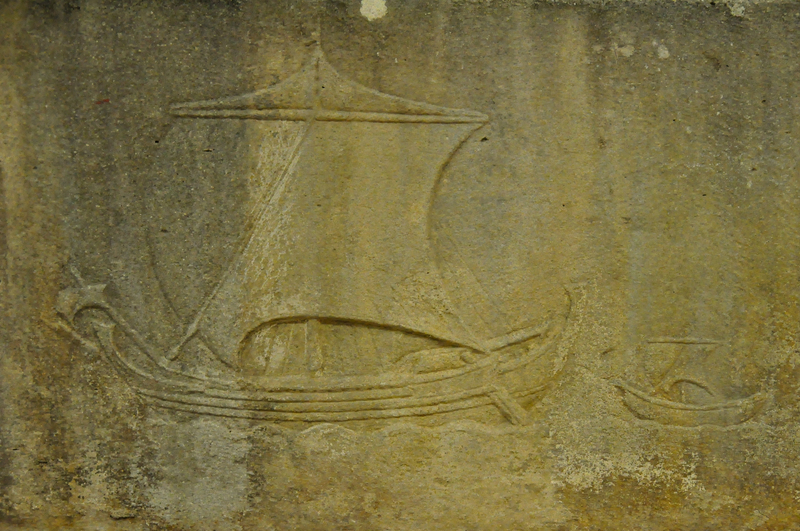 At Sinope there is a wonderful museum and one of its highlights is a sarcophagus that has a sailing ship and its “dinghy” engraved in bas relief. On the large ship note the steering oars at the stern, the billowing main sail, and what looks like a jib near the bow of the boat. Even the guy-lines are visible in the image. Compare this representation with the reconstructed ship above. Could the “dinghy” be the “lifeboat” that was cut away from the main ship, just before it crashed on to the island of Malta? On the other hand, the small vessel, with a sail(! ), may not be in tow (note its own billowing sail), but rather another sailboat that is being depicted as being in the distance—and thus is smaller than the nearer vessel. This entry was posted in New Testament, Paul, Places in Turkey and tagged Boats, Cargo, Paul, Ships, Shipwreck. Bookmark the permalink. 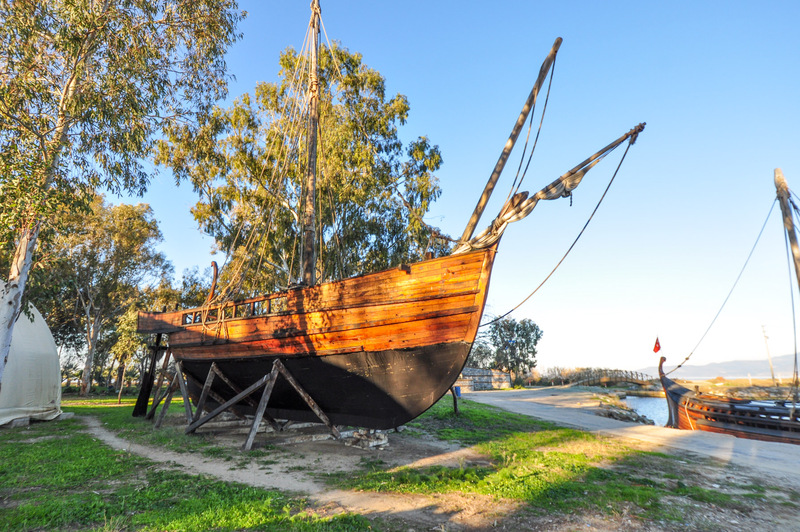 Thanks for the interesting post on the reconstructed ships at Ephesus. I haven’t seen them yet so look forward to visiting them the next time I am in Ephesus. 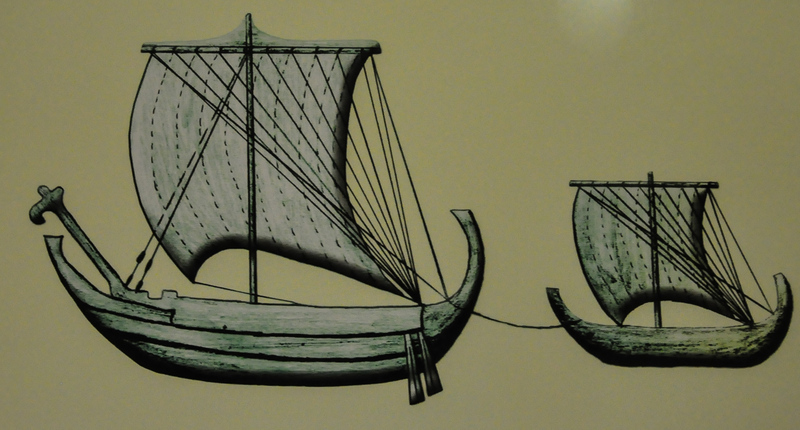 Also, nice drawing of the Sinope sarcophagus ships with informative comments on its interpretation. Carl, you are amazing! These brief but very informative snippets with the pictures are intriguing. Thank you for the work you put into this site. A great contribution to our understanding of Scripture! Thank you Hassell! Your contribution to all our lives is appreciated!